Falling sulfur dioxide emissions in the United States are expected to substantially increase rainfall in Africa's semi-arid Sahel, while bringing slightly more rain to much of the U.S., according to a new study in the Journal of Geophysical Research: Atmospheres. "Reducing emissions in one region can influence rainfall far away because our global atmosphere is interconnected," said the study's lead author, Dan Westervelt, an atmospheric scientist at Columbia University's Lamont-Doherty Earth Observatory. "We show that the health and environmental benefits of U.S. clean air policies extend to global climate as well." Sulfur dioxide simultaneously cools and dries earth's climate by reflecting sunlight back to space and suppressing heat-driven evaporation near the ground. Though prior research has linked high sulfur emissions in Europe and Asia to the Sahel's severe droughts of the 1970s and 1980s, this study is the first to look at how U.S. emissions influence precipitation in various regions globally. "We were surprised to find that removing sulfur emissions in just one country would significantly influence rainfall on another continent, thousands of miles away," said study coauthor Arlene Fiore, an atmospheric scientist at Lamont-Doherty. Cutting U.S. emissions to zero was enough to move the rain belt roughly 35 kilometers north, placing more of the Sahel in its path, the researchers found. "We did not expect to see such a clear, significant influence on the Sahel," said Westervelt. 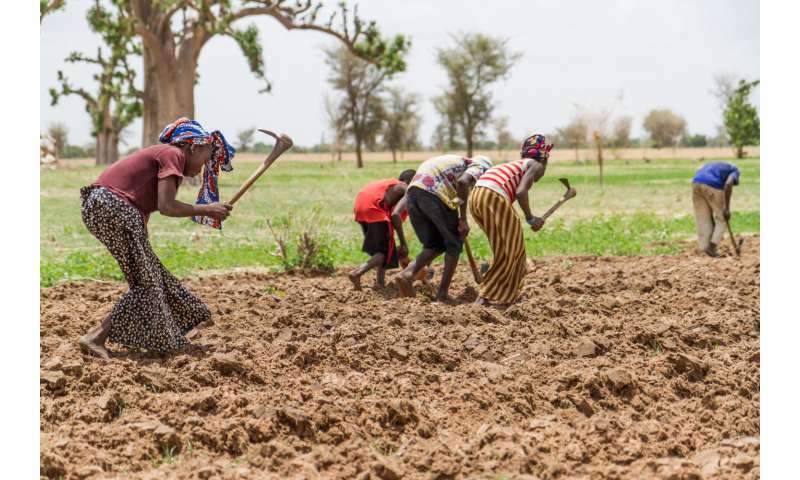 "This northern shift of the tropical rain belt could mean that cropland at the Sahel's northern edge could become more productive in the future." Though two of the three models were generally consistent, they disagree on exactly how much rain different regions can expect as U.S. sulfur emissions go to zero, says study coauthor Drew Shindell, an atmospheric scientist at Duke University. "We have just one real-world example—historic data—to rely on, making it very challenging to quantitatively link emissions to response," he said. The influence of rising carbon emissions is another complicating factor. The technology to trap carbon dioxide, unlike sulfur dioxide, is still far from being cost-effective. So while carbon dioxide levels continue to climb, falling sulfur emissions impose a climate "penalty"—less human-caused cooling to offset human-caused warming from carbon dioxide. "It's still a good idea to cut SO2 with pollution control equipment on coal-fired power plants for the sake of public health, but even better would be to move away from coal-fired power plants entirely to reap the benefits of public health and climate change mitigation," said Shindell.